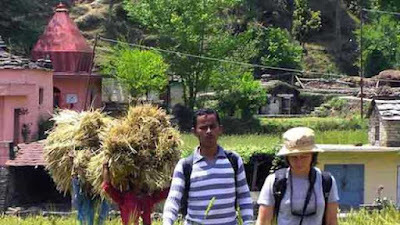 The Asian Rural Tourism Festival organised to promote rural tourism activities across the India-Nepal border will be held at Bahundangi in Nepal from March 3to 9. Arjun Karki, the president of the organising committee of the fest, said: "We have been hosting the fest since 2012. The idea is to promote an integrated tourism circuit comprising the bordering areas of Nepal and India." Bahundangi is a small hamlet in Nepal and is about 35km from Siliguri. Rabi Nepal, the vice-president of the committee, said: "The local people here have developed seven homestays and a resort. Our main objective is to highlight the agricultural activities, orange orchards and bee-keeping in the fest. Also, for tourists visiting the area, there is always an option to learn these practices." The Asian Rural Tourism Festival organised to promote rural tourism activities across the India-Nepal border will be held at Bahundangi in Nepal fromMarch 3to 9.